Summers are all about sun and fun, right? Unfortunately, summer can also come with a lot of things to worry about, from minor things like insect bites, to more major incidents like wildfires. California’s many summer wildfires serve as stern reminders of how a simple flame can get out of hand. Summer can be a downright dangerous season if you’re not careful. A little thing like forgetting to put on sunscreen can turn a fun day at the beach into a disaster; not being properly hydrated can turn a day trip into a trip to the hospital. When you and your loved ones go out to enjoy the weather this summer, it’s important to be informed of what can happen so that you can better prevent it. 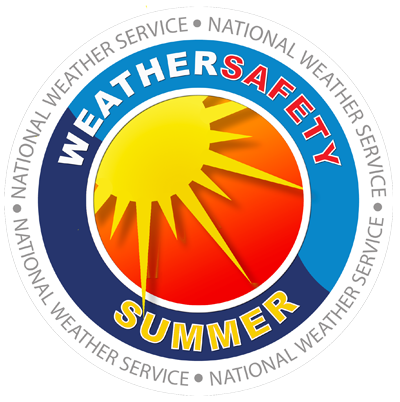 Before going out into the heat, make sure you do some research on some summer safety tips. Poolsafety.gov, Ready.gov, and FEMA.gov are great websites to get more safety tips and resources. GPO’s U.S. Government Bookstore offers many publications on topics related to summer safety so that you and your family can fully enjoy all summer has to offer. Mission: Sunwise Activity Book is a great publication for kids that offers puzzles and pages to color all while teaching about sun safety. Public Playground Safety Handbook shares safety information for public playground equipment and promotes greater safety awareness for those who maintain public playground equipment. This handbook is useful for any member of the public concerned with public playground safety and interested in evaluating their local playgrounds. Are You Ready? : An In-Depth Guide to Citizen Preparedness is an in depth guide for citizens on how to protect themselves and their families against natural and man-made disasters. The guide includes information on how to plan, respond, and recover after a disaster as well as information on assembling a good disaster supply kit. Special Operations Forces Medical Handbook is a reference originally designed for medics in the field. The book offers medical information for those in outside environments and is organized according to symptoms and organ systems. The book is even printed on tear-resistant and water-resistant paper. An Act to Amend the Federal Food, Drug, and Cosmetic Act to Provide an Alternative Process for Review of Safety and Effectiveness of Nonprescription Sunscreen Active Ingredients, and for Other Purposes. About the author: Tiffane Tingle is a Student Intern in GPO’s Library Services & Content Management office.